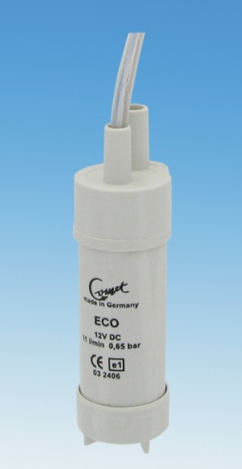 The Comet Eco Immersion Water Pump is a submersible pump for the supply of clean water up to 60 degree c to your motorhome, caravan or camper and is suitable for continuous operation with a running time of between 450-500 hours. This Comet Elegant Submersible Water Pump is the ideal solution to your water supply problems in your caravan. motorhome, or campervan. Ensure your water supply is running smoothly during your outdoor camping adventures with this Comet pump. Comet Geo Plus 18 Litre Inline Pump This Comet Geo Plus 18 Litre Inline Pump is the ideal solution to your water supply problems in your caravan, motorhome, or campervan. Ensure your water supply is running smoothly during your outdor camping adventures. This Comet Lux Plus 19 Litre Submersible Water Pump is the ideal solution to your water supply problems in your caravan, motorhome, or campervan. Ensure your water supply is running smoothly during your outdoor camping adventures. The V.I.P. 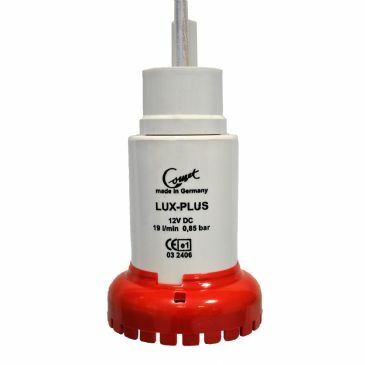 Plus submersible pump from Comet. • Supply: 12 V• Cable length: 1m • Delivery rate: max. 20 / min• Delivery height: max. 11m (1,1 bar) • Power consumption: 35 - 45 W• Diam. / height: max. 48mm / 123mm. Cable Length: 1(m). Connections: 1/2" (12.7mm) Hose. Dimensions: 142mm long, 38mm diameter. Maximum Current: 2.5(amps). Output: up to 12.7 litres/minute at up to .75bar (2.8 gallons/minute at 11psi). Suitable for diesel, fresh and salt water. Quick diesel transfer with no spillage. Bait tank aeration, diesel transfer, water transfer. Water Systems to 80 ºC. Intermittent light duty. Motor life approx 250 hours. 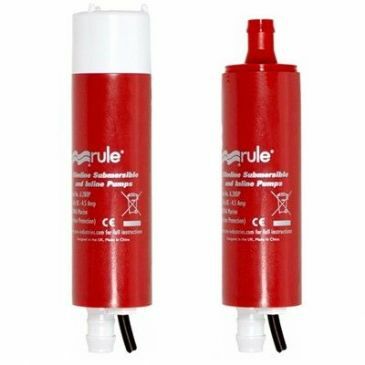 A slimline submersible & in line pump with many uses. 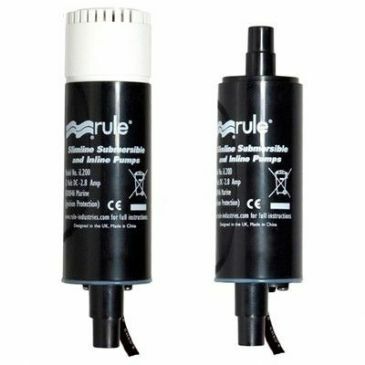 A strainer is included for use in submersible mode or, when the filter is removed the pump can be used in in-line mode. This Reich Easy Submersible Water Pump is the ideal solution to your water supply problems in your caravan, motorhome, or campervan. It features a 12v submersible pump, with an output of 14 litres of water per minute. This Whale GP1002 10 Litre Submersible Pump is the ideal solution for any water supply problems in your caravan, campervan, or motorhome. 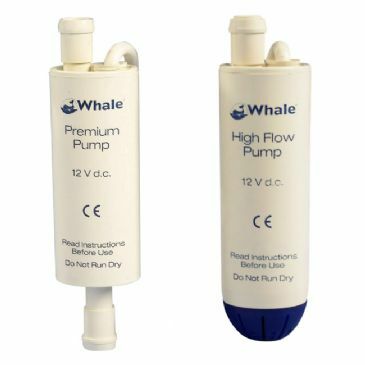 Ensure your water supply is running smoothly during your outdoor camping adventures with this Whale pump. 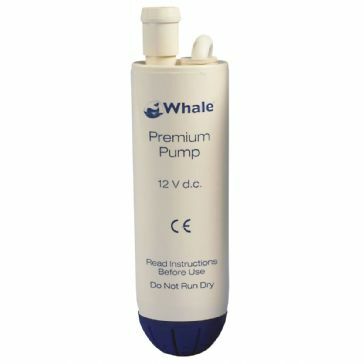 This Whale Submersible Premium 12v Pump GP1352 features the very latest electronic technology for use in your caravan. campervan. or motorhome. 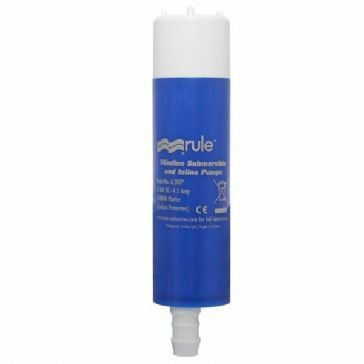 It is a simple, compact, economical solution for any water supply problems to ensure your water supply runs smoothly during your outdoor camping adventures. This Whale Submersible Premium Water Pump GP1652 is a submersible water pump designed for your caravan, motorhome, or campervan. 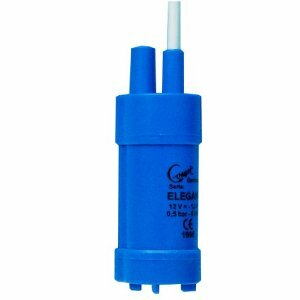 The Whale GP1652 is a best selling submersible water pump due to its suitability for use in a shower, as well as the fact that it is compact, quiet, and also suitable for use in pressure switch and microswitch systems. It is recommended to pump water from external containers. Higher Flow Rates and Greater Life. Compact, quiet, lightweight design suitable for use with pressure switch and microswitch systems. 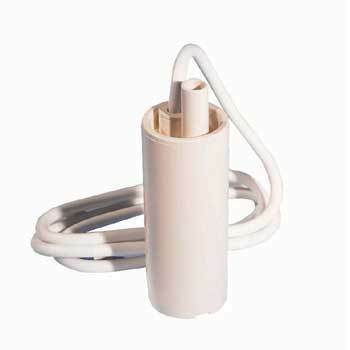 Ideal for use to pump from external water containers.